According to the Associated Press, the report follows highly publicized efforts to improve the city's troubled school system, including building new magnet schools and creating a budgeting system based on students' needs. "It's as if the reform was taking place for everybody else and not for them," James McGaughey, executive director of the agency, said, referring to students identified as having emotional and behavioral problems. "We think there is evidence there is a pattern of discrimination in the way resources are being used." Staff from the Office of Protection and Advocacy took issue with several things during their visits to several Hartford schools. The AP says investigators found “a lack of counselors, psychologists and clinical staff” to conduct so called therapeutic programs. The report goes on to say that special education students were separated from the other students and denied access to certain areas when those other students were present. As far as resources are concerned, there seemed to be a lack of counselors, psychologists and clinical staff. Investigators claim there weren’t enough working computers, supplies and resource materials for students to work. Another school was apparently called out for failing to have a drinking fountain or water cooler. Recreational space was limited and the only exercise available to students was to sweep the sidewalk, according to the report. "Even this was stopped after it was pointed out that busy traffic on the adjacent street presented possible dangers," the report said. 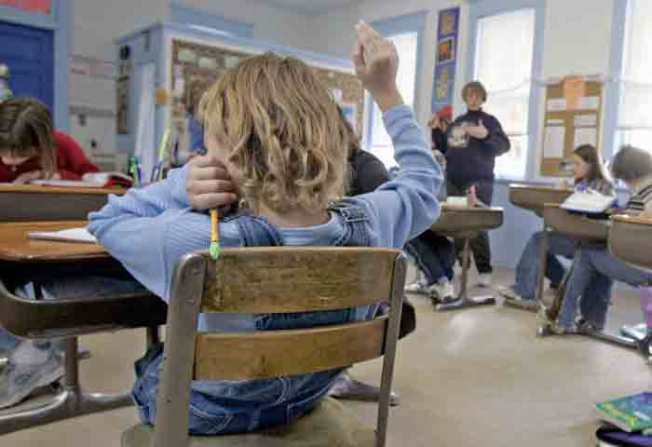 Both the State Department of Education and the U.S. Department of Education’s Office of Civil Rights have the authority to mandate schools to make necessary changes. A spokesman for the public school system has not commented on the report.